At Girelle Trading We specialize in custom made joinery products and pride ourselves on our superior quality products. 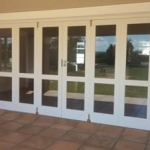 Besides the custom made products we have a standard range of wooden windows, wooden doorframes, wooden doorframes with sidelights, wooden pivot doors as well as wooden doors to cater for the everyday needs of both the domestic and industrial building sectors. We are proud to offer all our customers with the best service and a service team to their disposal to ensure every job is carried out flawlessly. All of Girelle Trading’s windows, door frames, custom joinery and doors are assembled with the utmost professionalism, and latest technology joints that are stronger and more durable than other commonly used methods by far. Maximum care is taken to ensure the finest products deliver the finest end result, even it means adjusting our manufacturing methods to suite our valued customer’s requirements. All our ironmongery is bought from reputable companies to further enhance our products and customer satisfaction. We are proud to offer all our customers with the best service and a service team to their disposal to ensure every job is carried out flawlessly.